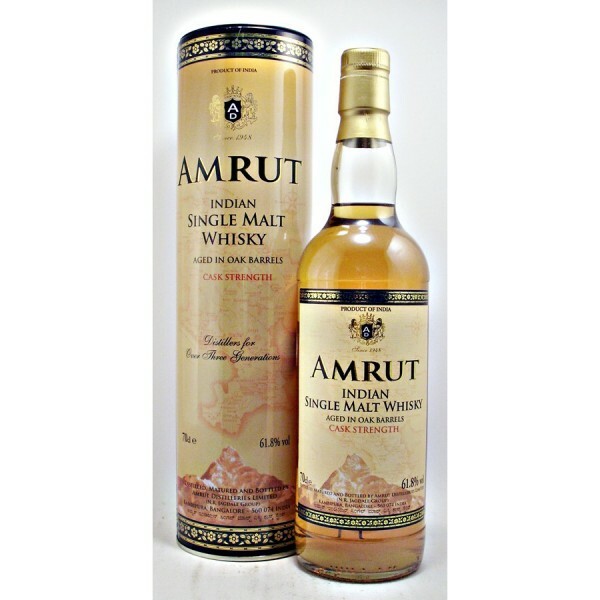 Indian Single Malt Whisky from the Amrut Distillery, Bangalore India. 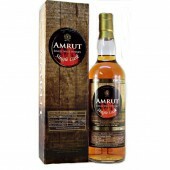 Amrut Indian Single Malt Whisky Cask Strength Tasting Notes. 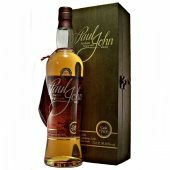 This Whisky is made from select Indian Barley grown at the feet of Himalayas, nurtured by the waters flowing there and cultivated by old & traditional agricultural practices. 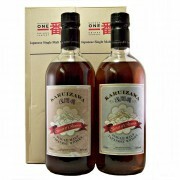 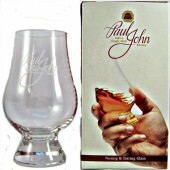 It is carefully mashed and distilled in small batches to preserve the natural aroma and matured in oak barrels in an unique tropical condition, at an altitude of 3000 feet above sea level at Bangalore, the garden city of India. 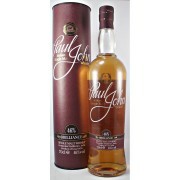 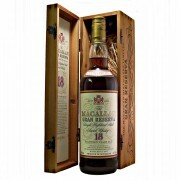 To retain the natural characteristics of this Oak aged Indian Malt Whisky, Not chill filtered.